I’m a day late. I do know. I have an excuse, I was driving and driving and writing don’t really work well together! Despite my accidental run in with Ben and Jerry, Mr Wotsits and Madame Homemade Brownie, I am quite pleased at my efforts for the last four days. I’m especially pleased that my constant eating isn’t affecting my results too much. I’m happy to report that the plank is going excellently. If someone had told me to hold that position for 70 seconds two weeks ago I would have told them to go somewhere very rude but now I’d probably just tell them to scuttle away quietly. Uhh, what else should I talk about…? Oh! I know! A couple of months ago I signed up to My Little Box which a company that sends out themed gift boxes once a month. They’re filled with cute little things. Last month it was a “Frenchie Box” which was quite umm… not really my thing but it was still cute. 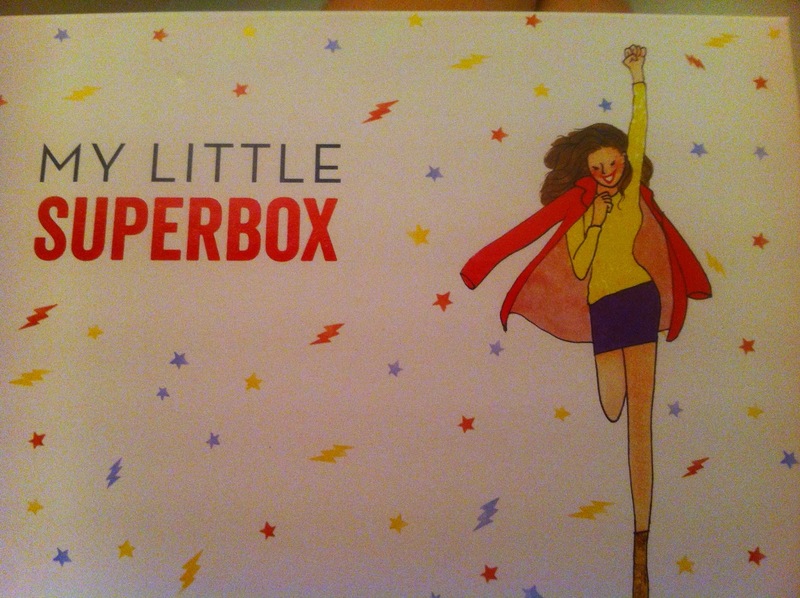 This month was a “Superbox”! Which is totally my thing. 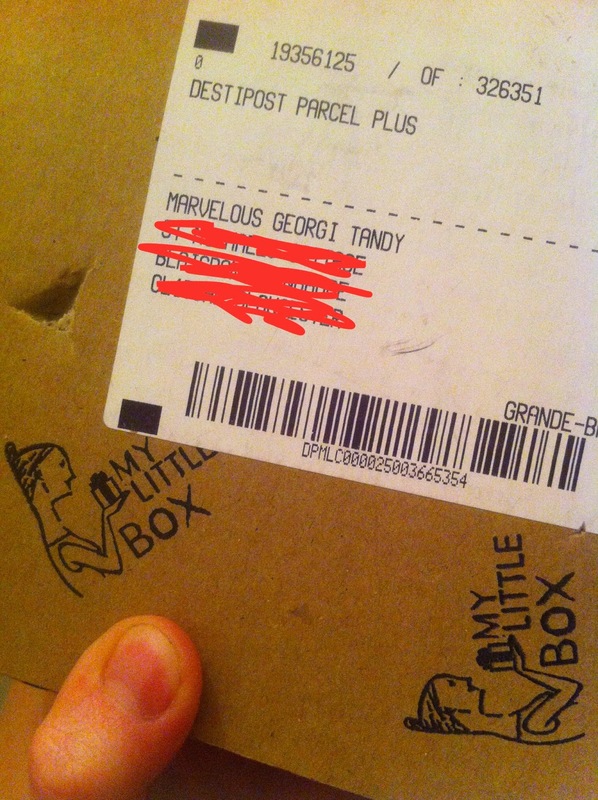 I’d just got home from quite a long day of driving about and found a box addressed to the ‘Marvellous Georgi’. 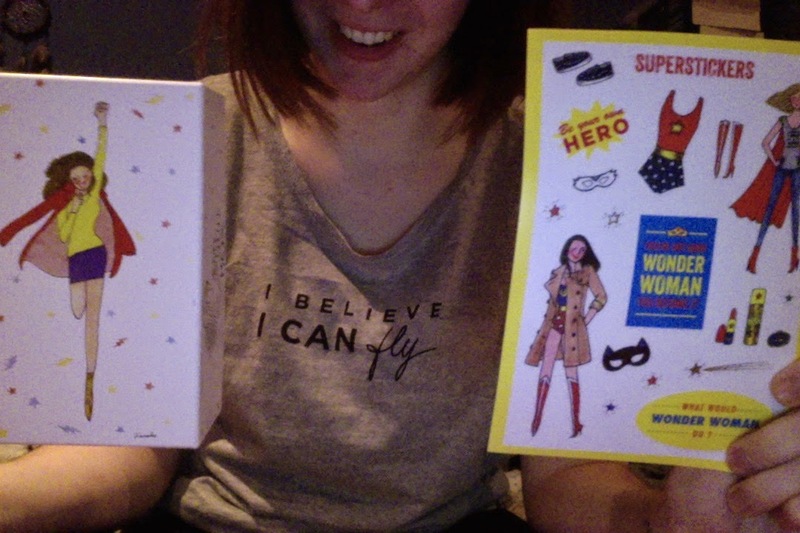 Inside the box were stickers, a t-shirt, some hand cream that I think smells like sherbet lemon and some conditioner that makes my hair super soft. There was also lip/cheek stain which I touched for *LIKE A SECOND* and got on my bathroom wall, mirror and leggings. It’s great for someone, like me, who really can’t be arsed to go into a place like Superdrug and stare vacantly at bottle after bottle. This little box is a big gift that eliminates that annoyance. Okay. I’m gunna go now. I hear Madame Homemade Brownie calling me.